Besides, he said, "Facebook data is for sale all over the world". Bannon - Donald Trump's former chief strategist - later said outside the conference room that he "did not remember" being part of any scheme to buy data that came from Facebook and divert it to use for election propaganda, as the Observer revealed last weekend. He blamed any "dirty tricks" on Cambridge Analytica's parent company, SCL Group, which he described as "the British guys, old Etonians and guys from Oxford and Cambridge". And he denied that his former benefactor, US hedge fund billionaire Robert Mercer, who co-owns Cambridge Analytica, had any financial links to SCL. Mercer was also a major donor to Trump's election campaign. It was Bannon's first public appearance and statement since the explosive reports by the Observer and the Guardian, sister publications, last weekend, that the personal data of about 50 million Americans had been harvested and improperly shared with Cambridge Analytica. From my diary on February 28, 2017 - Brexit: Putin Did It. Cambridge Analytica now hopes to leverage that success--and its ties to Trump--to do more business with the U.S. government. Working from offices just blocks from the White House, it's been pitching itself to defense and national security agencies. In February it signed a $500,000 U.S. State Department contract to fight radicalization of young people abroad. Alexander Nix set up Cambridge Analytica in 2013 to target the U.S. market, installing himself as chief executive officer after 14 years as a director of SCL. In the past year, Nix, 41, has become a darling in tech and marketing circles, popping up on the international speaking circuit to promote the firm's data-driven approach. UK and US military using data mining and social media tricks to undermine terror and fight proxy wars in the Middle East. Bell Pottinger Sans Frontieres (BPSF) the arm of the firm which managed the Yemen account, has a `special projects' unit which describes itself as the `SAS of strategic communications'. Services offered by the special projects team include `geo-political reputation rebuilds'; `conflict zone influence operations'; `psychological warfare' and `counter-radicalisation'. `The company develops and delivers influence campaigns, products and events that address civic populations or adversary forces in support of political, military or diplomatic objectives,' its website says. 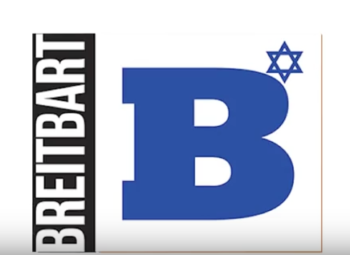 Full Circle - Breitbart Jerusalem. Back to the roots of Islamophobia, the nation of Bibi Natanyahu. Bannon said Breitbart had become "the platform for the `alt-right,'" as he put it, using the term for a loose far-right populist movement that mixes anti-Semitism, racism, white nationalism and disdain for "political correctness." Bannon has also said he rejected the racism and anti-Semitism heard among the alt-right and that it would wash out of the movement over time. From that humble beginning grew Breitbart News Network. One thing we specifically discussed that night was our desire to start a site that would be unapologetically pro-freedom and pro-Israel. 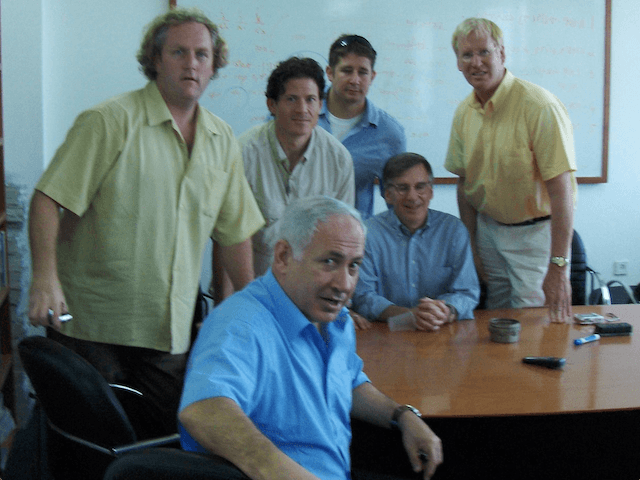 We were sick of the anti- Israel bias of the mainstream media and J-Street. By launching Breitbart Jerusalem, the journey comes full circle and a promise between two friends is fulfilled. And in a very real sense, Breitbart News Network returns to its roots. How did Facebook, LinkedIn, and other social media "user" data become marketable --"for sale all over the world"? Facebook, Google and other social network users always have been the marketable product. We know this. My guess is that there was/is no incentive to care about realising how deep their own rabbit holes could go. Even in case you initially promise to try to not be evil, most that is meant to do good, can be used for evil purposes. Just testing the water here, so to speak. I mentioned, I worked in the advertising industry for the better part of 30 years before I climbed out. '90 - '97 was a particularly ugly "transition period" to "digital" marketing and publishing. I recall very clearly common wisdom and rivalry between standards-setters. A lot of jobs lost, and a lot of profit taken from the spread. I am not perplexed by the general market's enthusiasm for so-called social media/sharing/AMZN/Cloud economies: Plenty of "users" earn income from producing controversy where none exists. *An explosive memo detailing Facebook's cutthroat growth mentality was leaked to BuzzFeed and published on Thursday night. *But some Facebook employees think the real problem is leakers, according to posts leaked to The Verge. hmm, yes, it appears the US Senate Select Committee has graded Facebook's 1Q2018 exam rather than entirely revoke its "press" privileges. After all, without "information service providers" democracy would be a shell of its former glory. And the engines of innovation would be suspect. Of course Cambridge Analytica was in a way linked to Cambridge and Alexander Nix ... with new corporate change to Emerdata, do the Mercers give recognition to Abu Dhabi Sheikh of the Emirates? Should we ask Erik Prince? The founders and funders of controversial election consultants Cambridge Analytica are behind a new company registered in London appearing to offer similar services. Mr Ko serves as deputy chairman for Frontier Services Group Limited, a company which describes itself as a 'Africa-focused security, aviation and logistics company' and is led by Mr Prince, its chairman. Full diary posted @BooMan today - here. Advertisers Mozilla and German bank Commerzbank (CBKG.DE) have suspended ads on the service and the hashtag #DeleteFacebook remained popular online. On Friday, electric carmaker Tesla Inc's (TSLA.O) and its rocket company SpaceX's Facebook pages - each with more than 2.6 million followers - were deleted after Chief Executive Elon Musk promised to do so. "I didn't realize [!] there was one. Will do," Musk wrote on Twitter [! ], responding to a person urging him to delete the SpaceX page. The Tesla page was taken down shortly afterwards. "Definitely. Looks lame anyway," Musk tweeted. Investigators from Britain's information regulatory agency on Friday raided the central London offices of Cambridge Analytica, the consulting company at the center of a Facebook data misuse scandal. A Hugh Court judge had granted the Information Commissioner's Office (ICO) a warrant for the search on Friday evening. Investigators from Britain's data watchdog entered the London offices of a data analytics firm at the centre of a storm over allegations it improperly harvested Facebook data to target U.S. voters. "I am sorry that, in 2014, SCL Elections [an affiliate of Cambridge Analytica] licensed Facebook data from a research company [GSR] that had not received consent from respondents." Have you read Caroline de Gruyter's latest column yet? Op datagebied hebben maar twee landen echt macht: de VS en China. Zij hebben begrepen dat degene die wereldwijd de meeste data weet te verzamelen, de race om de mondiale hegemonie kan winnen. In dit machtsspel zijn Google, Facebook of Amazon de belangrijkste vehikels - zoals je een boor gebruikt om olie te winnen. Al jaren is het hoofdstuk `data' het meest cruciale deel van handelsakkoorden die de VS met derde landen of (tot voor kort) regio's afsluiten. Aan deze geopolitieke titanenstrijd doet Europa niet mee. Dát is ons ware probleem. Het enige echte antwoord dat wij Europeanen kunnen formuleren op de constante schendingen van onze dataprivacy is dat we zélf sociale media en zoekmachines gaan ontwikkelen. May slaat terug, zogenaamd, maar Londen blijft speeltuin voor Poetins oligarchen en hun roebels. Dan vergelijken Britse politici Poetin indirect met Hitler - de ultieme belediging voor Russen, die zich dus weer snel achter de grote leider scharen - en is de cirkel weer rond. Zoals Londen de thuishaven is voor de Russische kleptocratie zijn wij de doorvoerhaven van haar voornaamste bron van inkomsten: olie en gas. Wij hebben ons ook enthousiast aan Gazprom vastgeklonken - en lachen elke Oost-Europeaan die bezwaar maakt tegen Nordstream I of II, hartelijk uit. En dan is er het gevaar van de te eenvoudige historische vergelijkingen, het gevaar dat we de vorige oorlog gaan uitvechten. Een recent stuk van de historicus Stephen Walt verscheen onder de kop: 'I knew the Cold War. This is No Cold War.' De Britse kenner Lawrence Freedman schrijft in New Statesman over 'Putins New Cold War '. Poetin heeft die nieuwe Koude Oorlog misschien nodig om zijn legitimiteit thuis te schragen. Wij niet. I read this synopsis while on the way to acquainting myself with Murdoch MacLennan's businesses (chiefly Belfast Telegraph, chair, Independent News & Media PLC; coverage of Alliance Party's and UK Lords' imminant "gay marriage" victory over Arlene The Paisley in NI). Difficult to decide which is the more revolting barrel of monkeys.